To some the cross is a pretty emblem. To others, it is a spiritual symbol filled with greater meaning. 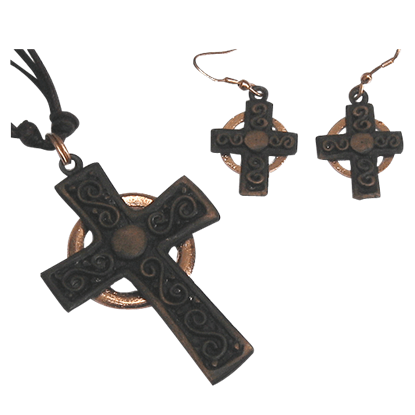 It is also an elegant symbol to be worn, and this Antique Copper Cross Necklace and Earring Set gives it the beauty it deserves. To some the cross is a pretty emblem. To others, it is a spiritual symbol filled with greater meaning. It is also an elegant symbol to be worn, and this Antique Silver Cross Necklace and Earring Set gives it the beauty it deserves. 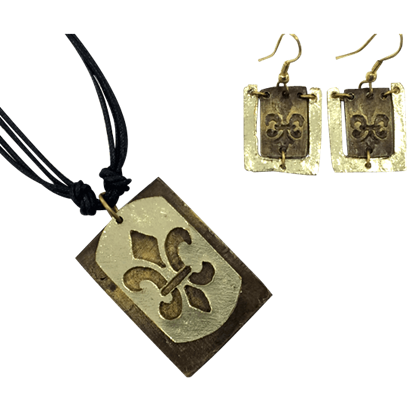 You can easily show off your noble bearing and unique style with this Antiqued Brass Fleur De Lis Necklace and Earring Set! Each piece is artisanal in its look and hand crafted to show off rich color and detail. 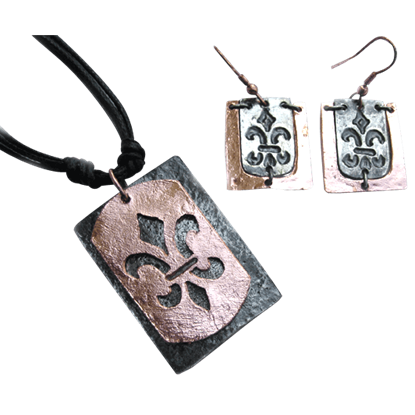 You can easily show off your noble bearing and unique style with this Antiqued Silver and Copper Fleur De Lis Necklace and Earring Set! Each piece is artisanal in its look and hand crafted to show off rich color and detail. 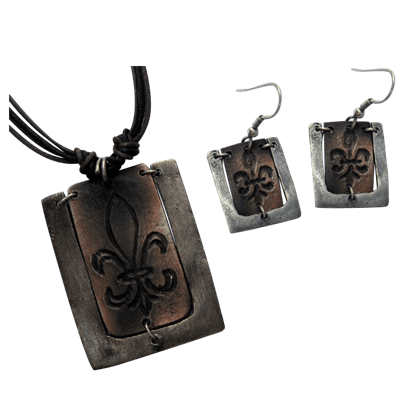 You can easily show off your noble bearing and your unique style when you own this Antiqued Silver Fleur De Lis Necklace and Earring Set! Each piece is artisanal in its look and hand crafted to show off rich color and detail. A symbol with rich history and heraldic meaning, the fleur de lis remains a popular icon for fashion, as well. 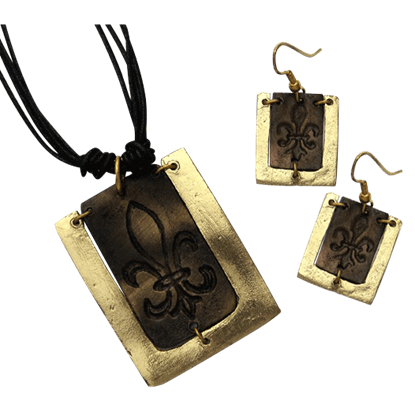 The Brass Fleur de Lis Jewelry Set offers a striking design for fans of artisan jewelry to enjoy with any ensemble. 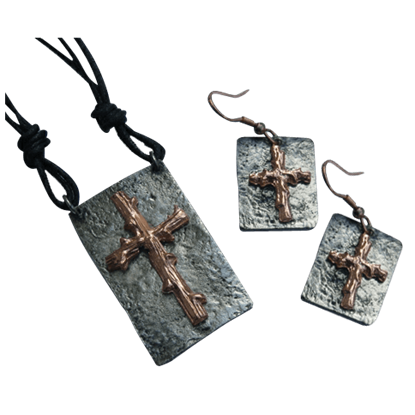 If you want to wear a cross but prefer to do so in a unique way, than you need only look to this Copper and Antique Silver Cut-out Cross Necklace and Earring Set to give you just that, as it features the old cross in a whole new way. You can easily show off your noble bearing and unique style with this Copper and Antique Silver Fleur De Lis Necklace and Earring Set! Each piece is artisanal in its look and hand crafted to show off rich color and detail. 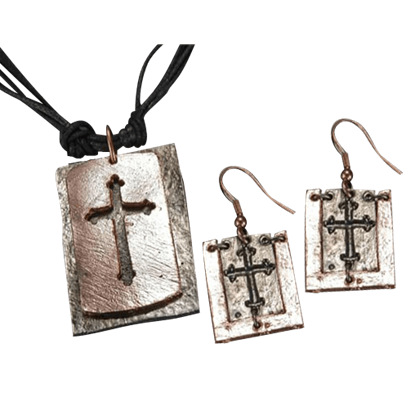 The classic cross meets the natural world in this Copper and Antique Silver Wooden Cross Necklace and Earring Set. 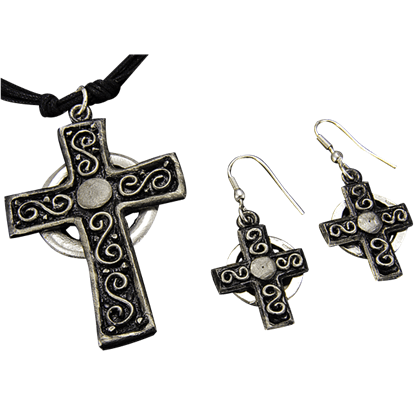 The fine detailing gives the cross an authentic wood look on this lovely necklace and earring set! 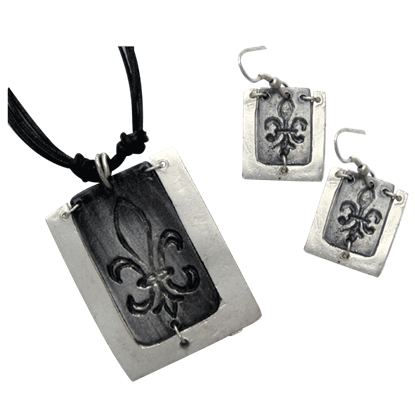 A symbol with rich history and heraldic meaning, the fleur de lis remains a popular icon for fashion, as well. 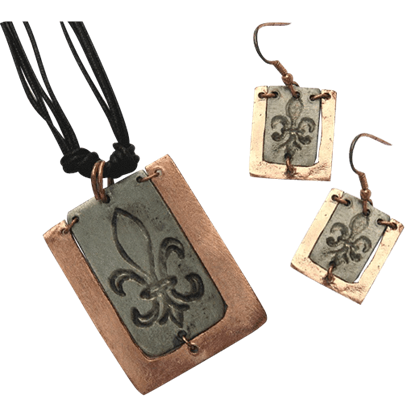 The Copper with Silver Fleur de Lis Jewelry Set offers a striking design for fans of artisan jewelry to enjoy. There is a certain beauty to be found in the duality between light and dark. 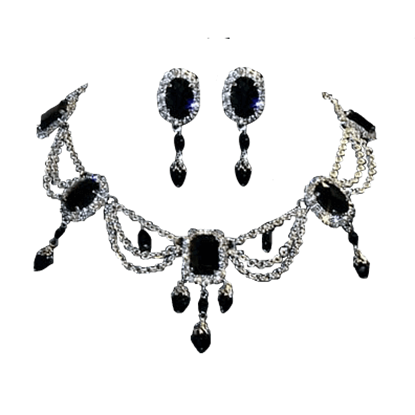 For proof, you need only look at this Dark Queens Crystalline Necklace and Earring Set, which binds both light and dark crystals into a truly stunning accent. 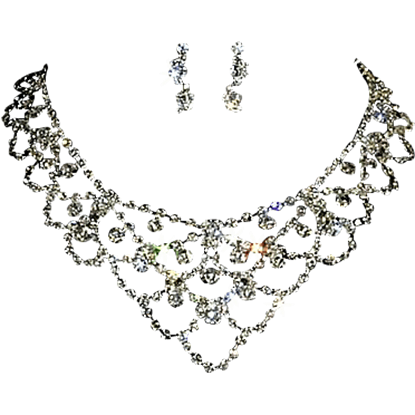 The Graduated Loop Necklace and Earring Set is 2.125 inches tall at its longest point and is adjustable from 16-20 inches. The earrings of this set are 1 inch. The Graduated Loop Necklace and Earring Set is plated in Sterling Silver.